Nannys Like You Are Precious & Few - what a more apt verse for that special lady on Mother's Day or her brithday. 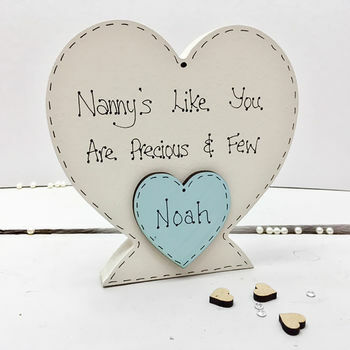 On the front of this gorgeous freestanding heart is a personalised coloured heart that you can choose up to three names to be hand written in. On the reverse of the heart you can choose the option of having a personal message written, something simple for example, "Love from "name" and the "grandchildren names" - or Happy Mother's Day or Birthday - you can choose your own words up to a maximum of 20 (Optional).Hand-made in Devon. 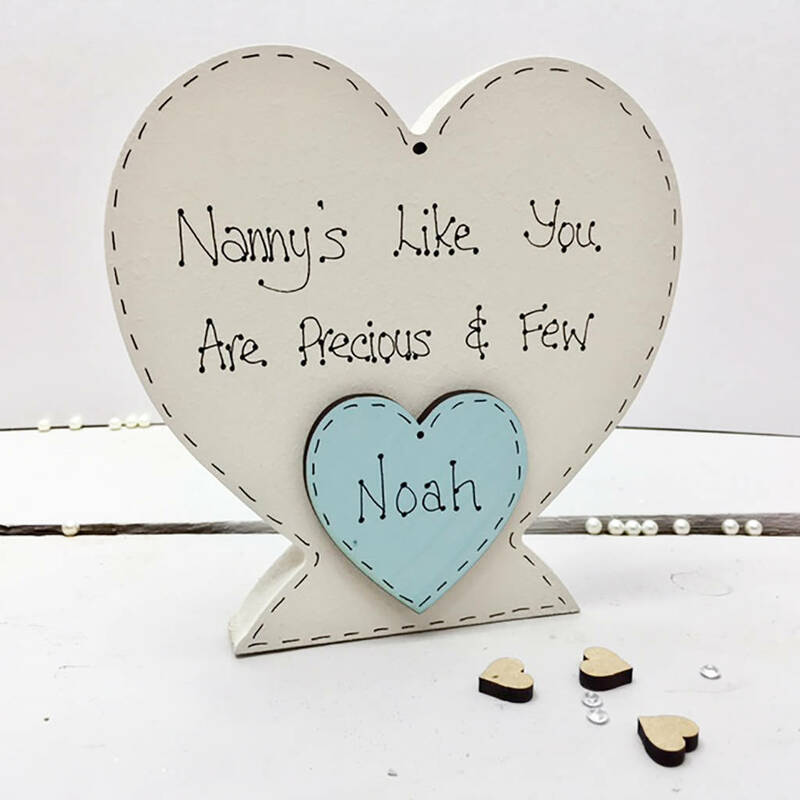 The heart will always come in Ivory White but you can choose the colour of the mini heart which can contain up to three names (or just polka dots if no names required) - colours available as photo chart.